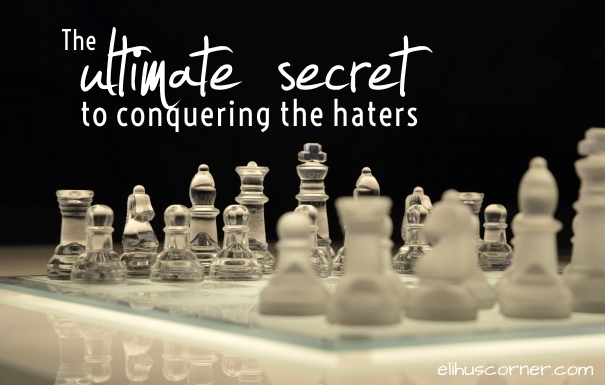 The Ultimate Secret to Conquering the Haters. This is Part 3 of the 3-part series on dealing with the haters. For part 2 click here. God never gives us an impossible task. I am still working on it. I keep asking God to help me rip out those weeds of bitterness that are in my heart and grant me the power to forgive. I don’t want to be bitter when I am old. I don’t want anger, resentment, and hurt to deplete the soil of my heart. You may be feeling fresh hurt even as you read this. Someone may have abused you physically or emotionally or both. Women who have been raped, spouses who have been cheated on, friends who have been betrayed, daughters or sons-in-law who have endured years of berating from their spouse’s parents—all of us are wounded critically at some point in life by the people who are supposed to love us. We live in a world where evil runs rampant. Pain is an inevitable result of evil and pushes people towards God or away from Him. But there is a secret to overcoming your enemies. We pray blessings on our enemies, we ask God to give us the strength and courage to forgive, we rip out the roots of bitterness within us… but without this one thing, this great secret, we will be unable to achieve either of these. And the secret is…. (Drumroll please). I can hear your groans of disappointment across the pixels. Bear with me while I elaborate. The love of which I speak is not human in origin. It’s a love produced within us by God and demonstrated to us by His Son, Jesus Christ. It is a godly love, different from any other type of love on this earth. It is not an emotion, it is an intention; not a feeling, but a willingness to love others the way Christ has loved us. To illustrate my point, I want you to think of your enemy. I want you to use the questions below, put their name in the blank and ask yourself each question honestly and objectively. This is your strategy: to work on loving your enemy, not in an abstractly, but in an actively. They say actions speak louder than words. Let’s put it into practice! Love is patient (or suffers long). Am I showing patience toward ____________? How long have I suffered their indignities? Love is kind. In what way can I (or have I) shown kindness to __________? Love does not envy or boast. Is __________ doing better than I am in this life? Or am I doing way better? I must endeavor not to envy _________ or what they have. I need not try make myself look better than ________, or gloat over them when calamity overtakes them. I need to bring those thoughts into captivity. Love does not behave rudely. How do I respond to _________ when they hurt me? Do I lash out, give them the cold shoulder or the stink eye? Or do I hold my peace? Love does not seek its own. Would I be willing to let _________ have a better seat at a major league game? Would I allow _________ to be first in line? Would I give up something important to me—my already limited time, money etc—to help _______? Would I bring _______ flowers if their husband or wife died of cancer? Love bears all things. Every insult, every wound, every betrayal. Do I bear with all of ______ oddities, jabs, and irritating behaviors or do I lash back? Love believes all things. 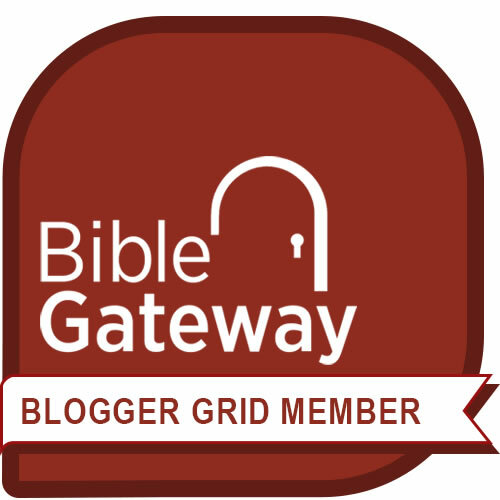 Do I believe that __________ can become a better person if they learn to obey the Lord? Love hopes all things. Do I hope __________ will turn their heart around and start treating me—and others—as God would want? What have I done/what am I doing to help ________soften towards God? God is love, therefore, God never fails. Your enemy may never change. They might even act worse as you return evil with love. But there is also the chance that as you treat them with love, they will come to see Christ living in you. If we truly desire people to turn their hearts the Lord, it is imperative they see Jesus through us. Otherwise, we are no different than the people around us. We are in a war. A war against a cunning adversary. Satan will try and lure us into his sphere. If he can prevent us from learning how to love like Jesus, he wins. One obedient person plus God equals victory. You can forgive. If it seems impossible, remember that we can do all things through Christ who gives us strength. If we want to be like Jesus, we have to learn to forgive the haters no matter how often nor how much they have wounded us. For to this you have been called, because Christ also suffered for you, leaving you an example, so that you might follow in his steps. He committed no sin, neither was deceit found in his mouth. When he was reviled, he did not revile in return; when he suffered, he did not threaten, but continued entrusting himself to him who judges justly. He himself bore our sins in his body on the tree, that we might die to sin and live to righteousness. By his wounds you have been healed. “If you love those who love you, what benefit is that to you? For even sinners love those who love them. And if you do good to those who do good to you, what benefit is that to you? For even sinners do the same. This week, pray for your enemies once each day. Write these verses on cards and pin them where you can see them, to remind you of what your mindset needs to be toward the haters in your life. Pray for the Lord to remember His promise to be with you as you carry out his command to love your enemies. Do not be overcome by evil. Overcome evil with good and with God. Previous Post What are you growing in your garden? Thank you for taking the time to write this series. This has been something that I struggle with. This series has left me encouraged. I know I can conquer these feeling I have towards some I know who have treated me badly.